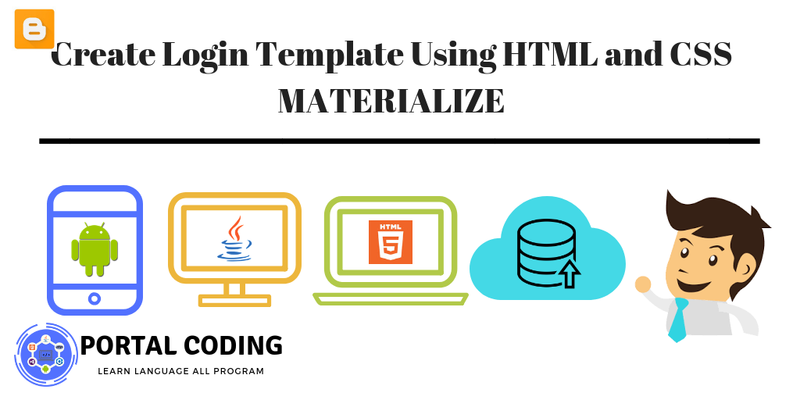 In this post, we will discuss how to make the login template using HMTL and CSS materialize. You already know what CSS is happening? Yup, the CSS framework is similar to Bootstrap. But it is more manifest in supporting Android. This doesn't only work for CSS. But it can also be used for skin design activities on Android applications. Return to discussion. 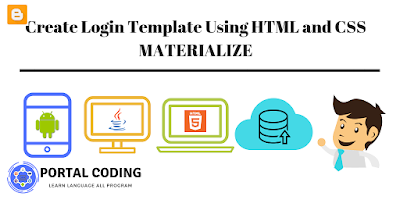 Here we will create a login page using html and CSS. What must be prepared is. Materialize Css (Please download on the official website). Then enter the index.html file and the Css Materialize Source Code that was downloaded in one folder. After that, don't forget to save. Then create an img folder and prepare an image for the logo to display on the login page. After all steps are taken. The following is the appearance of the coding above. So for the tutorial this time, please practice and develop it. thank you.